A burger is a poor man’s steak. An excellent classic burger needs a decent quality ground beef with adequate fat marbling cooked to perfection — served between some sort of soft white buns. Nearly a year ago, I compiled a list of best burgers in DC. For the last couple of months, I have been eating more burgers in Washington DC metro to update DC’s best burger list – at least that was my excuse for eating all those burgers. Everywhere I ordered some sort of cheese burger cooked “medium rare”. If I got my burgers cooked medium, which most of the times it did, I considered it perfectly cooked. I would like to point out the presented photos are photos of the real burger served to me during the visits, snapped on the spot without any props. They should be more realistic depiction of the burgers – unlike highly decorated publicity photos found in ads and other media. 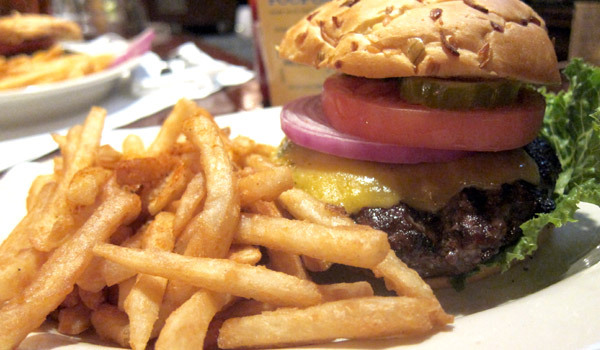 My list is divided into the best burgers and some of other memorable burgers in DC. Here’s my line up of some of DC’s best burgers. The best aspect of burger joints are highlighted inside the parenthesis. Rays in Arlington is still the best burger place in the DC metropolitan area. The simple reason is that Rays serves its burgers as requested. Rays is not afraid to give its customer burgers cooked medium rare (145 °F/ 63 °C). Generally all other places, even nice sit down restaurants, serve burger cooked at least one more step further, i.e., you always get burger cooked to at least medium or medium well when you order it medium rare. 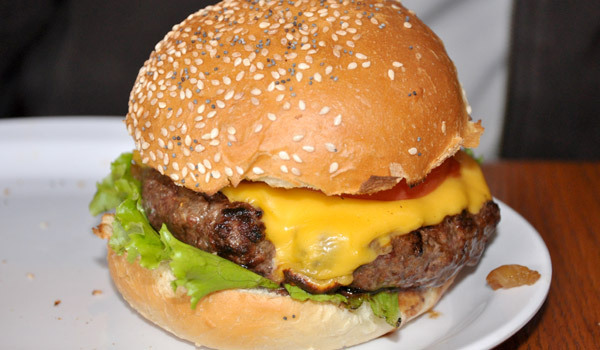 The generous 10oz beef patty cooked right results in extremely good Rays burger – the best I ever had. Having said that, Rays also serves probably the worst French fries with its burgers. I liked it when it didn’t used to serve fries. Now, it serves an obviously mass produced frozen fries that are not even of good quality. Go there hungry for burgers and skip the fries. Prez Obama Burger made with bacon, onion marmalade, roquefort cheese and horseradish mayo sauce, shows the creative and playful nature of menu of Good Stuff Eatery. 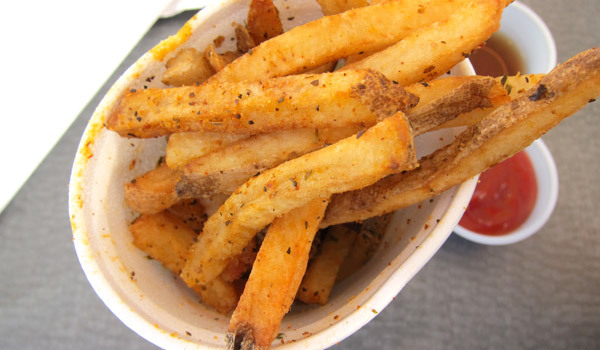 The best items on Good Stuff Eatery are Spike’s village fries -topped with thyme, rosemary and Sunny’s hand-cut fries sprinkled with sea salt. The flavorful fries are complemented by playful creative variety of mayo based sauces with old bay seasoning , sriracha sauce (rooster sauce), chipotle, and mango flavors. The strongest flavor was the old bay based may sauce and mango didn’t have a bit mango flavor. 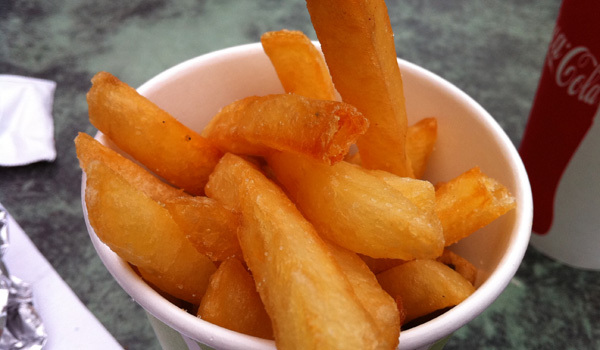 It seemed like the fries were divided into two categories of diners; one who are adventurous eater and others who never explore beyond – sea salt and good ol’ ketchup. 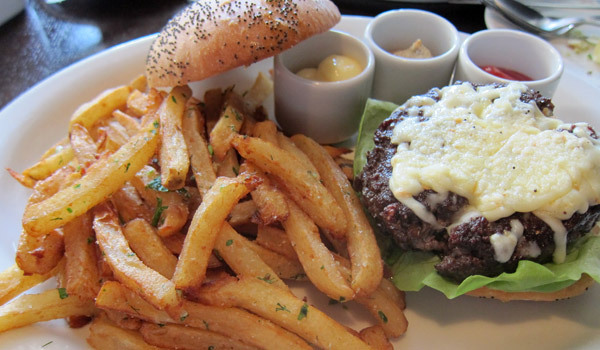 Burgers are slightly smaller for my personal preference and snack fries are big enough to share between two nibblers. Shakes at $5.25 were disappointing. The flavor and consistency was similar to melted ice-cream in a 16 ounce cup. After burger and fries, shake was too much for me to finish, I barely finished half of it. However, I have heard good things about the shakes from many of my sweet-toothed friends. 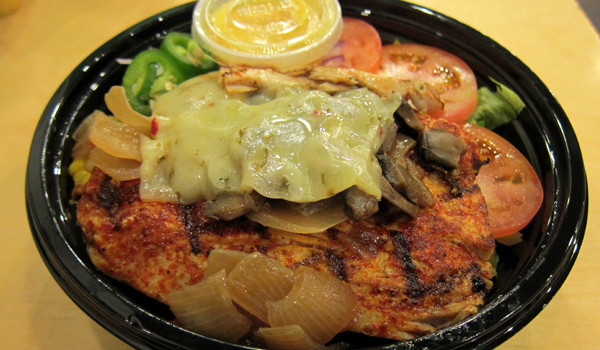 The burger in the Z-Burger is very similar to that of Five Guys in terms of their burgers and toppings. 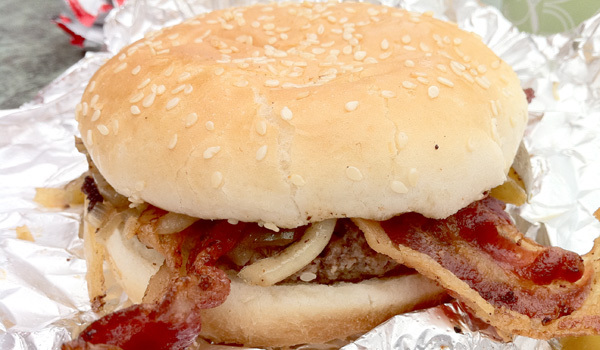 There is no point in trekking to the Z-Burger if you have Five Guys around the corner except to get their onion rings. 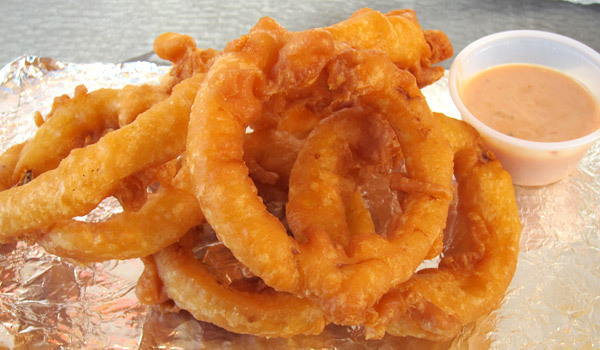 The onion rings at Z-Burgers are the best in the world. The onion rings at the Z-Burger are huge, have more dough and seems freshly made. They are definitely not mass produced onion rings we get in every other restaurants and feels more like fried dough. Onion ring sauce was a mediocre mayo/ketchup/chipotle sauce. In my opinion, onion rings are good without the sauce. Z-burger also has a huge selection of shakes – I have yet to find any disappointing flavors, thus go with what you are in mood for. Big bun is a burger joint hidden off near Ballston metro – literally hidden because it takes a few minutes find the place for anyone unfamiliar with it. You have option of ordering beef, chicken, mahi mahi, or portobello mushroom burger in a bun or with greens as a burger salad. Some of the topping are unusually healthy/delicious- namely sprouts, grilled pineapple, avocado, and fried eggs. 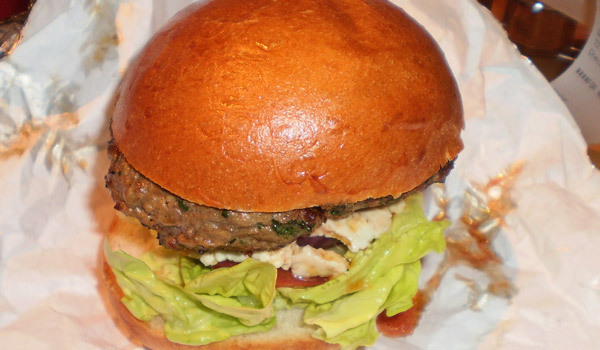 Even, it’s slightly off beaten path, Big Bun is highly recommended for any burger and salad lovers. After years of hearing Virginia friends brag about the Elevation Burger, one sunny afternoon we drove there. 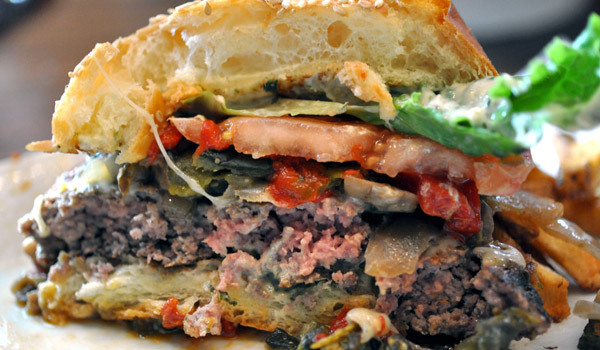 Elevation burger serves 100% organic grass-fed beef burgers. Burgers were made to order and tasted very similar to the Five Guys. Shake was decent and thick but not overly thick like an ice-cream. 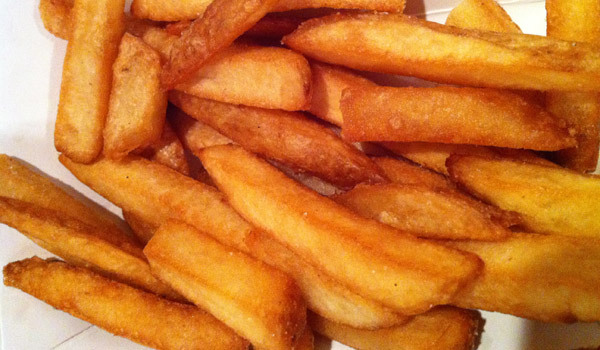 Fries were cooked in olive oil and tasted like normal fries without any olive smell. The Elevation Burger has a vegetarian burger as well, which is slightly dry, but has a decent flavor. 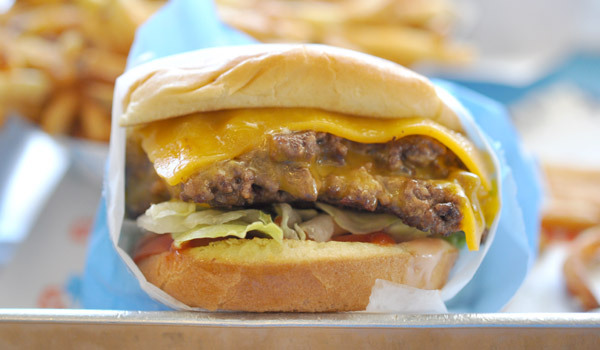 If you just care for the flavor, there is no point in driving to the Elevation burger. 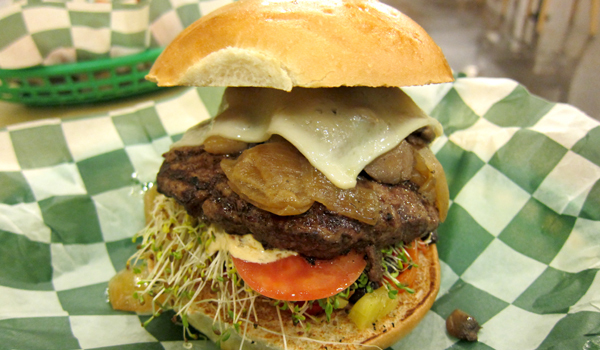 If you care about eating a quality meat, which happens to be 100% organic and grass-fed, the Elevation fits the bill. 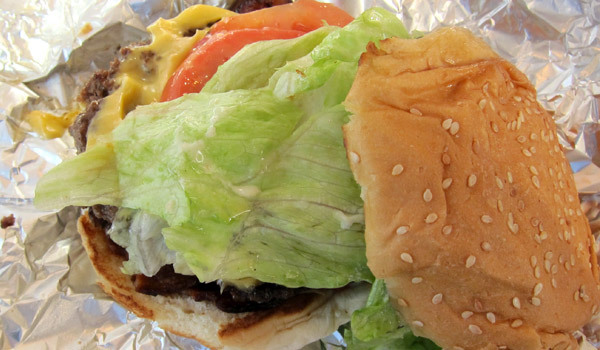 Five Guys is undoubtedly the best fast food burger place is Best fast-food chain burger. 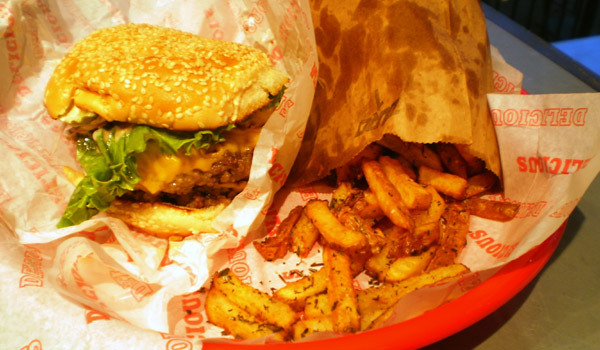 With more than 750 burger joints across the country, Five Guys consistently serves decent made to order burger. I am not sure if it uses better quality meat than it other giant fast food competitors – the quality may be identical. 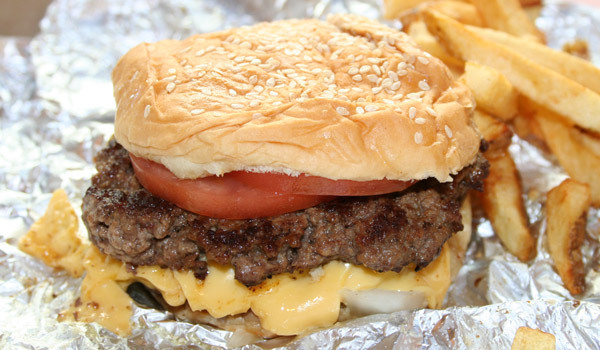 In my opinion, the Five Guys burgers are good because they are grilled-to-order, the burgers don’t wait for you inside a wrapped up in paper in some kind of industrial food warmer. Lindy’s Red Lion in a friendly neighborhood hole-in-a-wall burger place that epitomizes the neighborhood local burger restaurants. It has most inventive burger menu. For instance, Neapolitan Burger with pizza sauce, black olive, provolone cheese or Davy Crockett Double Burger with BBQ sauce, bacon, fried onions. 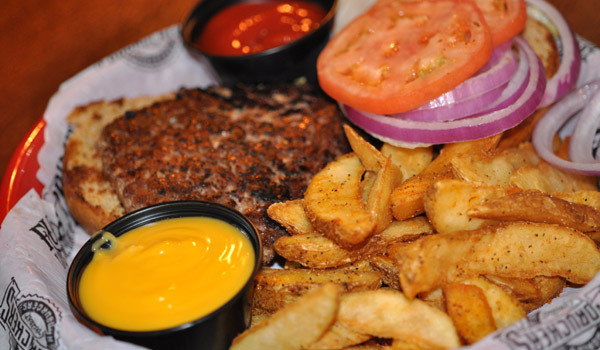 Lindy’s serves either sirloin burgers, veggie burgers or turkey burgers. 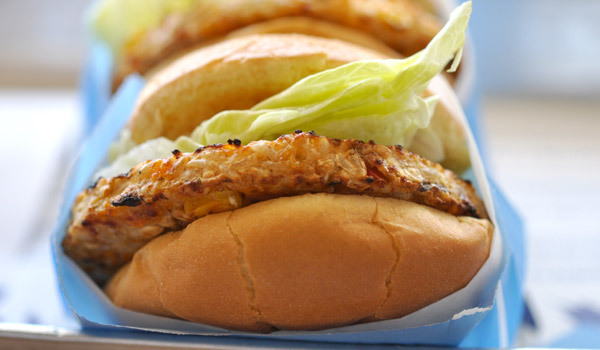 A single burger is served in a regular hamburger bun, while double burger gets served in a six-inch soft sub roll. 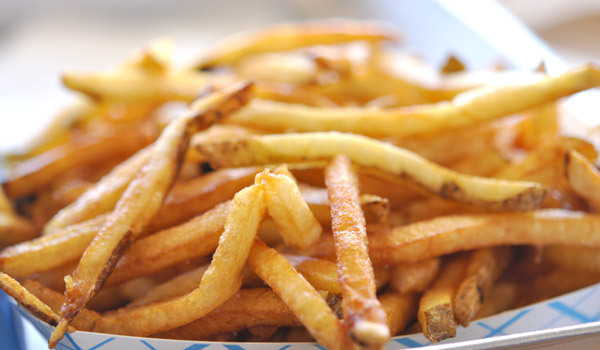 They also make their fries in soybean oil, which gives it a unique aroma and flavor. Closed now. Hopefully they open in new venue soon. The late night kind of burger is Rogue States Burgers because there isn’t any other place where you can get similar quality of burger that late in night. I didn’t know it even existed until a Dupont resident kept on marveling about how late it opens. I ended there just before it close its door, after one of those over extended happy hours. Burgers were cooked to order and fries were good but not as memorable. There were burgers with different flavors, however, the hot burger was too hot for my preference. Here’s my line up of some of the other memorable burgers in DC. The reasons they are memorable, both positive or negative, are stated with them. 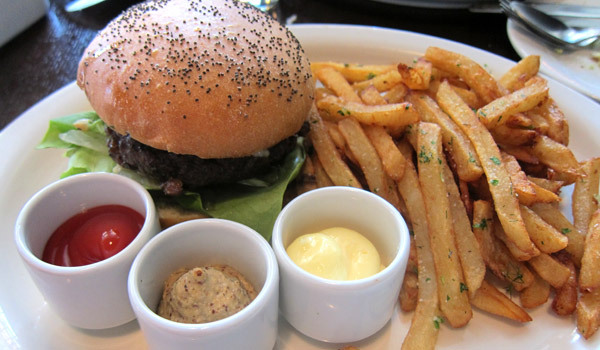 Palena is a sit down restaurant that often tops list of one of the best burgers in DC and country. Palena’s burger meat was cooked to order and had a decent flavor. It was served with thin slice of melted cheese between bread with some sort of creamy spread. The Palena Cheese Burger came with side of pickled vegetables. The Palena burgers are good. However, the burger is barely better than any decent burger found in many sit down restaurants. Simply, it didn’t live up to its overhyped fame and price. Thunder Burger serves a decent quality meat cooked to the requested done-ness. The burgers were juicy but their challah bun couldn’t withstand the juice from the meat and turned into mushy mess soon after. Thunder Burger has ambiance and pricing similar to bar and lounge. It felt and tasted like I was eating burger in a restaurant but not a burger joint. Even with disappointing bun, the Thunder Burger is still the best burger in the Georgetown. For price it charges, Fuddruckers DC may be one of the most over-priced burgers I have ever had. Avoid unless you love their salsa and other assorted topping bar for burger or just love their melted cheese. I happen to love their melted cheese dispenser. Guarapo in Courthouse Arlington, just a few blocks away from Rays. served perfectly cooked Mama’s Burger. The burger is made with 8 oz sirloin beef pimento cheese, lettuce, pico de gallo (fresh salsa) and fresh guacamole. I absolutely liked the fresh salsa and guacamole on my burger. PS. I also like it’s name – Mama Burger. 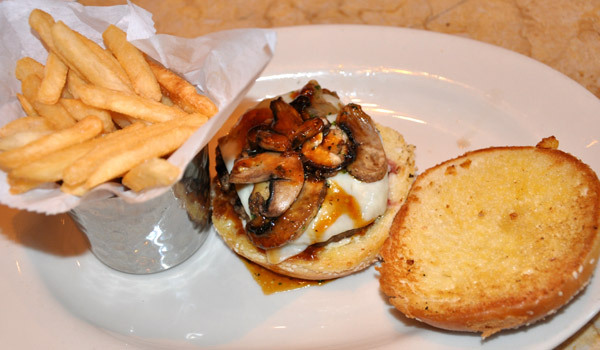 I never thought of The Cheesecake Factory as having a good burger. 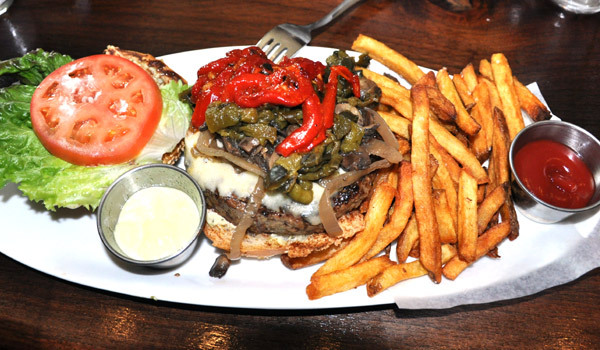 Their burgers, known as Glamburgers, are made with charbroiled Kobe or Angus beef served on toasted brioche bun. I was quite surprised by decent quality of the Cheesecake Factory burgers. 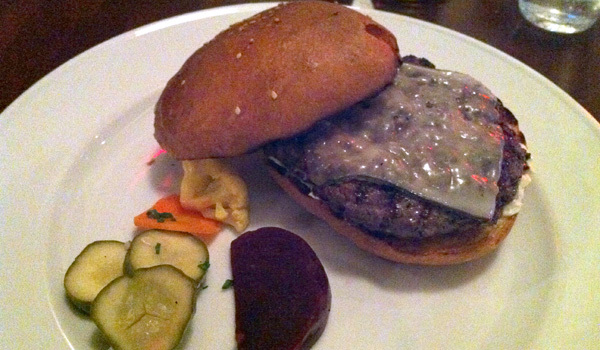 Lyon Hall Burger comes with semi-firm melted raclette cheese. The cheese burger was decent, even though they overcooked mine. The most amazing part of Lyon hall meal was it French fries. I absolutely loved the fries sprinkled with dill and served with three sauces. 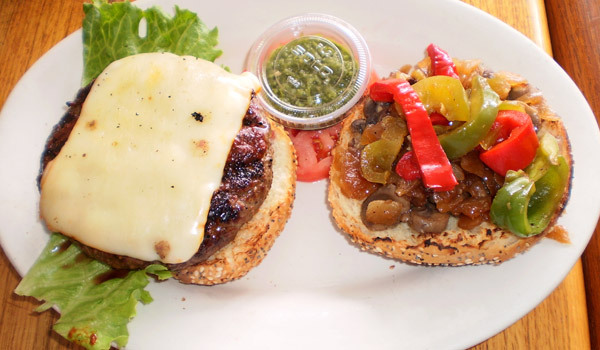 J. Paul’s Burgers are simple and grilled as requested and served on brioche bun. Since J Pauls already serves variety of seafood entrée, this place is good for burgers when not everyone in your dining party eats beef. The burgers are average restaurant burger but this is the place I started developing my appreciation for a good burger. 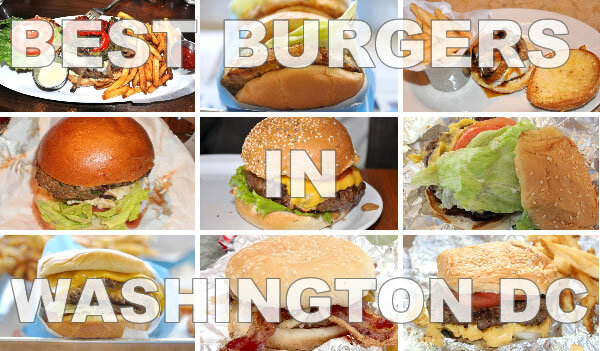 First, this is my personal list of favorite burgers in DC and in no way is any methodological burger ranking . I also don’t claim to have eaten every noteworthy burger in DC metro. 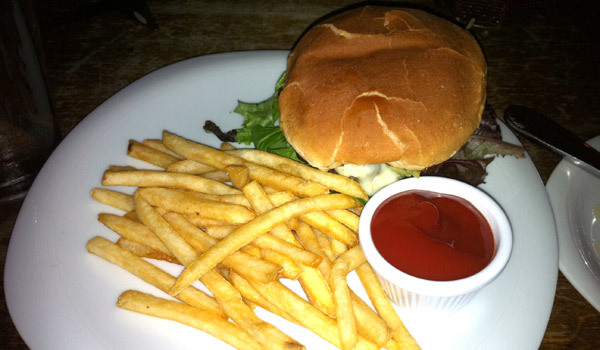 However, I did eat more than two dozen burgers – mostly in places recommended by friends and hyped in the media. I would love some more suggestions for good burger places in DC for next year’s update since couple of more specility burger restaurant are opening up this year as “DC has gone burger crazy”. So helpful! I can’t wait to go to all these places? Have you been to The Burger Joint? I think it’s in dupont circle – heard it’s really good.